At kumkeo, you benefit from working with experts with years of professional experience. You’ll be convinced of the quality of our work with the very first meeting. If we make a promise, we turn it into reality. We take responsibility for systems from the very first step of our development projects. We develop practical concepts to support you in your project planning and every phase of implementation. We use our solid expertise to work in line with your unique and specific requirements. We deliver more than just technical services. In addition to providing extensive IT know-how, we rely on efficient, clear communication as one of our strengths in developing our solutions. 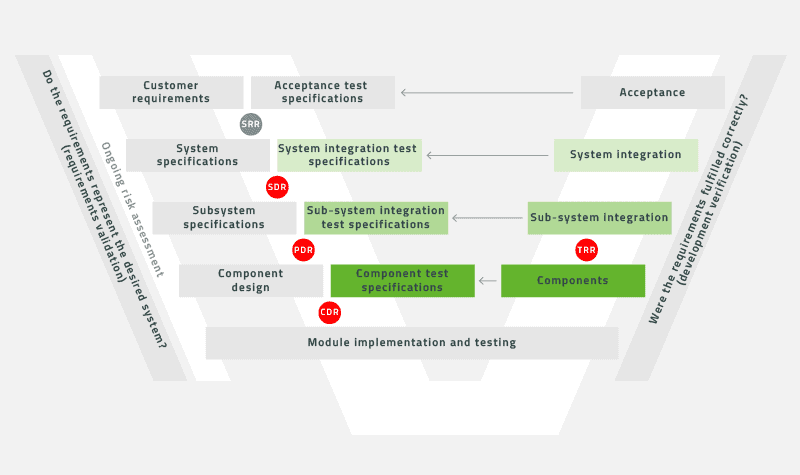 We conduct tests to verify and ensure that the development projects we realize as well as existing software and systems meet all relevant standards and norms. We also support our clients in this area with a range of services that spans concept development and planning, test specifications and the reliable execution of test cases.